Design dramatic lighting displays with a purple LED Moravian star. A 60 inch lead wire lets you hang these brilliant stars almost anywhere indoors or outdoors. Long lasting LED bulbs ensure that this beautiful star will shine brightly for many years to come. 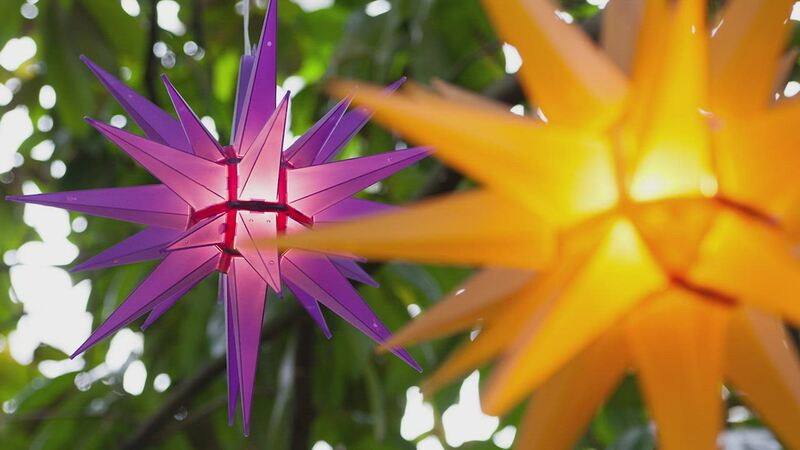 Hang these vibrant stars on decks, porches, and more to create a wonderful ambiance.